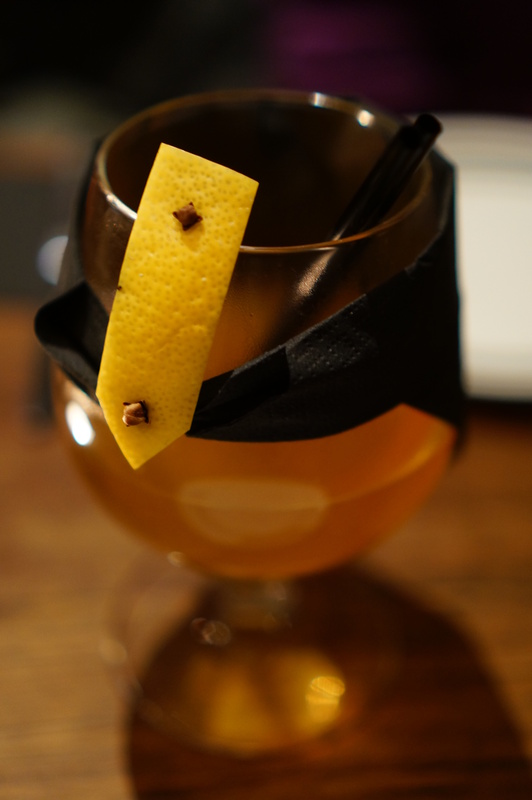 A small, unassuming entrance with a minimally marked glass entrance sits on Clarendon St in South Melbourne, Herculese Morse is a small restaurant plus bar with a wicked snacking/sharing menu and drinks to boot. 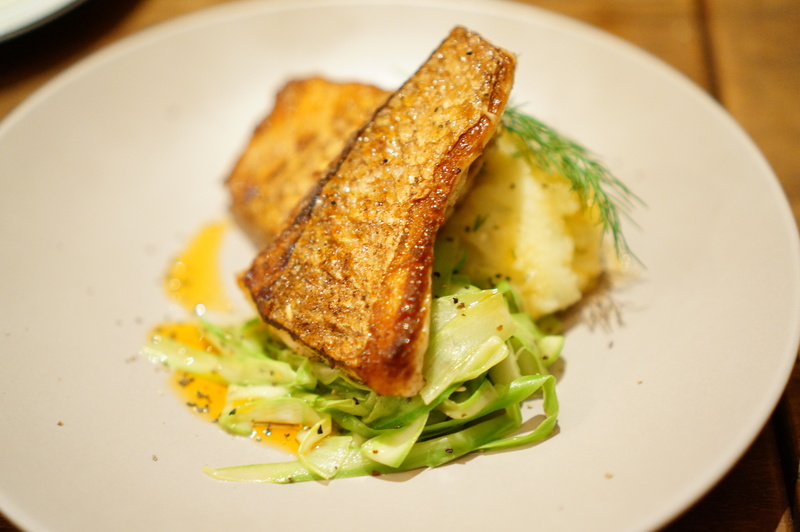 The staff are enthusiastic about what they serve and are keen to receive feedback about how each dish can improve. It was very endearing, and nice to hear the excitement of new menu plans. Convinced by the frigid weather, the first order of the night was the warm mulled Hot Apple pie Cider ($14.0), we were told it was a vanilla infused vodka mixed with warmed Apple cider, cinnamon syrup and orange bitters. The result, ridiculously delicious. Sweet and warm and everything perfect from an alcoholic beverage. Chewy Cheese Puffs with prosciutto goats cheese and black olive ($7.0) were a snack special of the night. 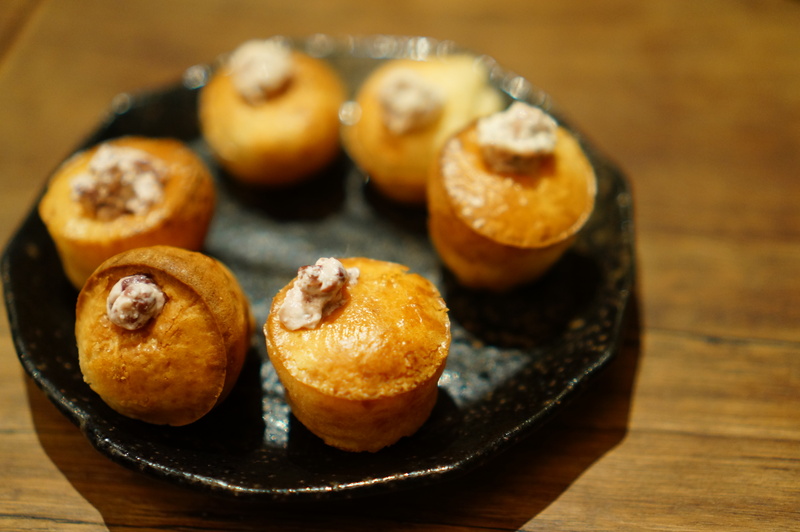 They had quite a chewy texture, with not enough of the sauce to flavour the puff. The fluffy filling was quite nice but an overall dry dish. I’d skip. 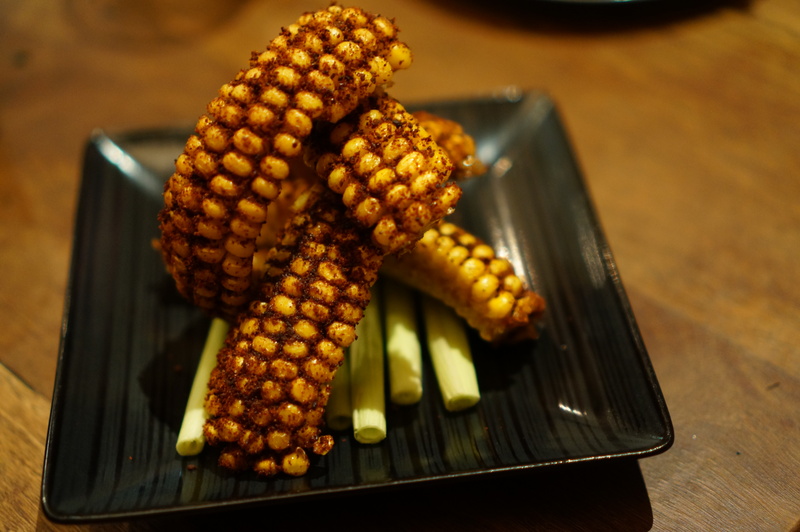 Bacorn – strips of fried sweet corn, dusted in a smokey bacon salt ($6.5). This concept was pretty rad, and as a bonus, they were delicious. I loved the smokey bacon crumb (which could’ve doubled as a sweet potato chip flavour) on the sweet corn. The only bummer? A very small serve. 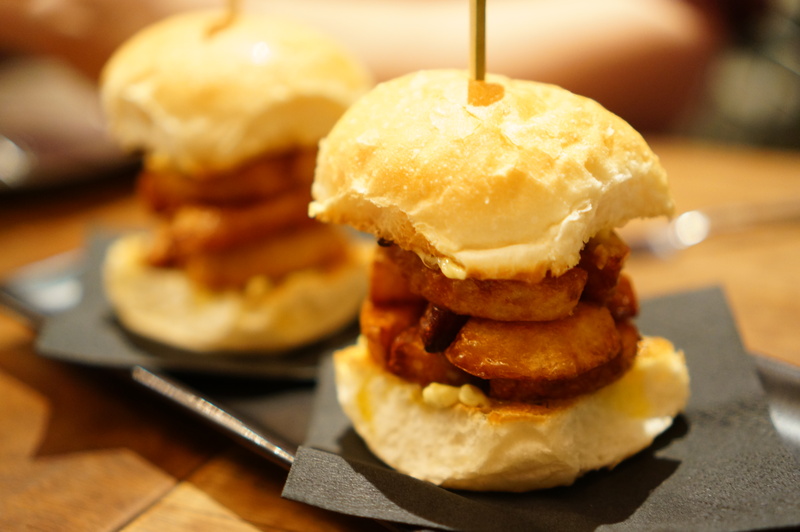 Morse Chip Butty, roasted duck fat potatoes in a truffle-buttered roll ($6.50 each). Essentially a carb-on-carb bonanza chip burger, though ultimately the bread roll was unnecessary. I would have preferred a bowl of piping hot truffle-buttered chips, but I guess then you can’t say you ate a chip burger. The Scotch Olives, gruyere stuffed Sicilian olives in a spiced pork mince, served with spicy ranch sauce ($2.5 each) very nice, especially with the spicy ranch. 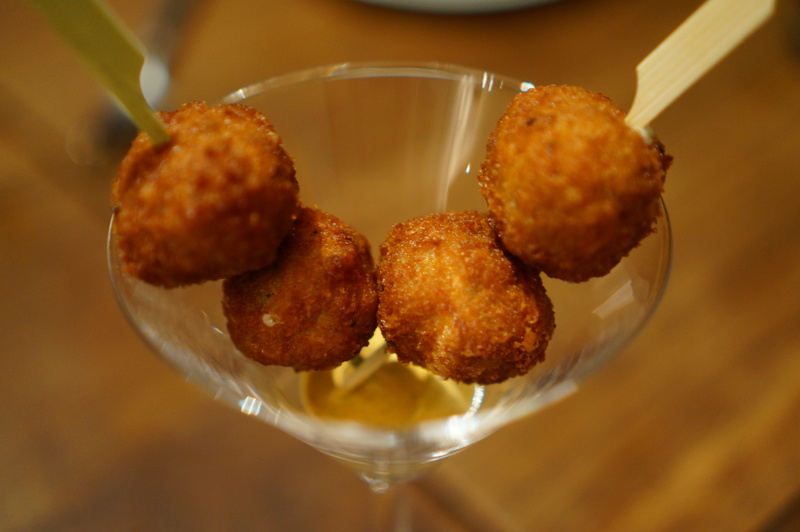 Their creamy insides burst from a crumbed olive shell. Pretty awesome. Slow braised beef cheek cigars + salsa verde ($15.0) were quite nice especially with the tangy salsa verde. 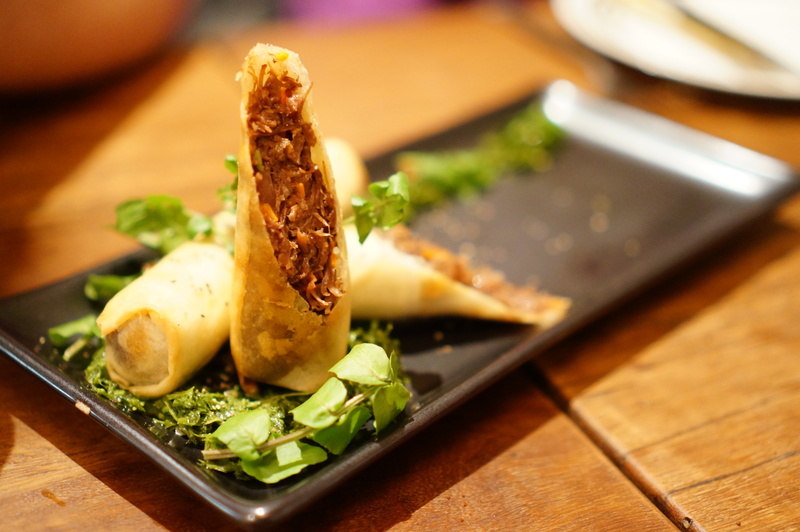 The outsides were deep fried, similar to a spring roll; a thicker shell would have been good but it would have risked masking the beef flavour. I find that beef cheek tends to be a dryer cut of meat, and so if you’re looking for a juicy delight, opt for a different grazing plate. Now I’m usually a carnivore through and through, and would rather order all meat dishes because salad, who needs it. However, this beautiful Roasted beet salad, dehydrated feta, maple walnuts + roquette pesto ($13.5) was surprisingly good. The feta was hard and crumbly, and the spicy rocket went well with the semi-sweet beetroot. 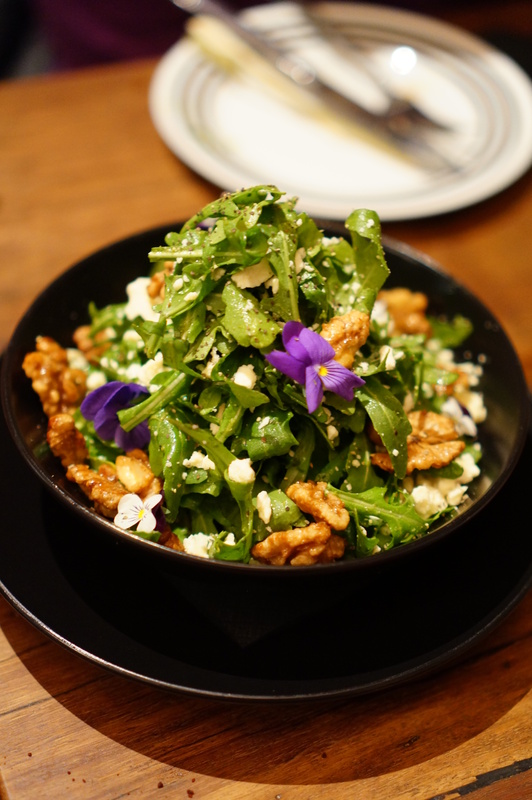 The walnuts were probably the best part of the salad, having a strong sweet maple syrup coating. I loved it. I would definitely recommend this salad. The scallops and pork, apple sauce, edamame and cauliflower puree ($18.0) was definitely my favourite savoury dish of the night. The ham hock was delicious and meaty and the cauliflower purée was nide and creamy. 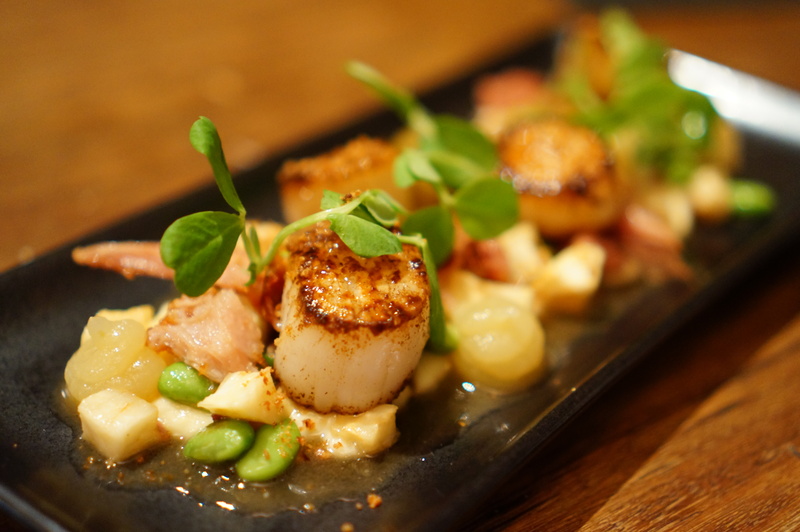 I personally feel the edamame was a random addition, the flavour didn’t really compliment the scallops nor the pork, but it did add a little colour to the dish. I still felt hungry despite the above, so we ordered the Crispy-skin Snapper, prawn brandade, buttered asparagus and prawn essence ($16.5) as a final though. The fish was slightly overcooked, but went well with the potato and asparagus on the dish. The flavour was homely, but ultimately nothing special. 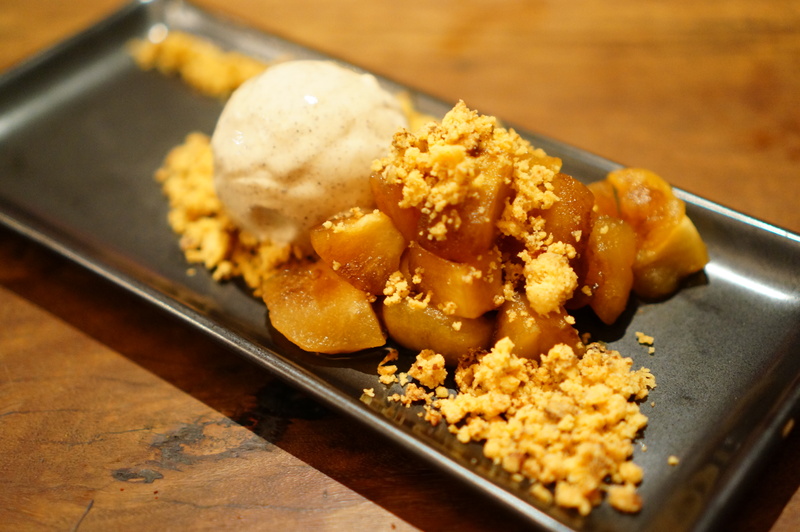 Deconstructed Apple Pie, tarte tatin apples, pecan and cheddar crumble ($13.0) was pretty damn delicious. I assume what the chefs meant by tarte tatin apples, were the fact they were cooked in a warm sugar syrup sauce, making them like a tarte tatin without the tarte part (sorta sad about that bit). I loved the icecream ball and the cheddar crumble, which barely tasted like cheddar, so don’t worry too much. The special dessert of the night was the Sticky Date and Gingerbread Pudding, chocolate stout sauce and white chocolate, ginger frozen mousse and house made gingerbread ($14.0). I begged the staff to put this on the regular menu because wow. 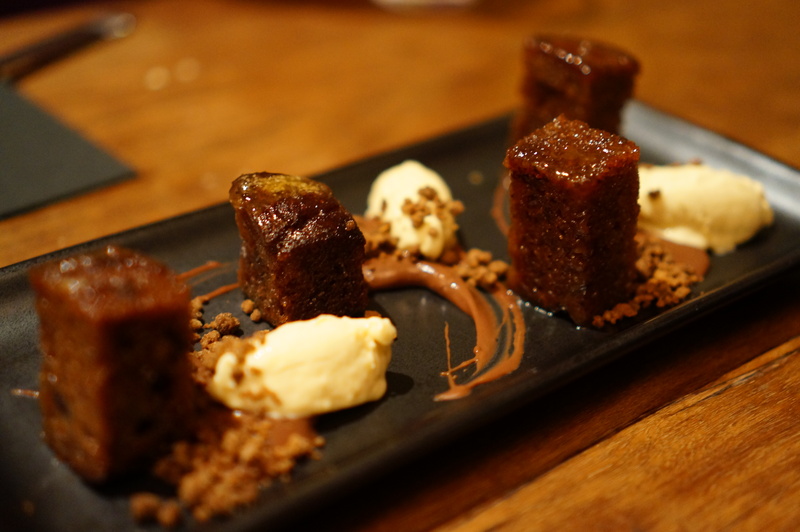 I’m a big fan of sticky date pudding (the one dessert I can pretty much nail), and this reinforced that. Warm soft pieces of cake/pudding, with a strong boozy sauce and mousse instead of ice cream. Genius! 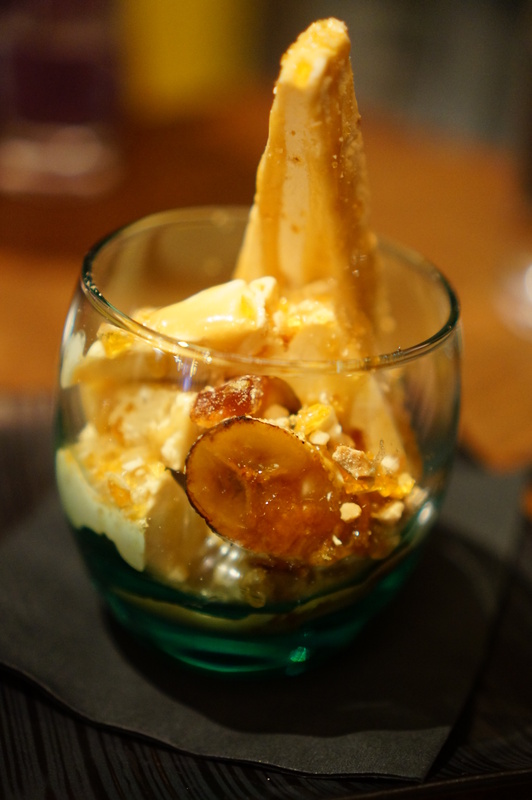 Salted peanut brittle Parfait, bruleed banana + butterscotch sauce ($13.0) was another really outstanding dessert. Parfait is great because it’s like frozen cream, this time an insanely subtle peanut butter cream, with the honeycomb caramel crunch contrasting texture nicely. They probably could have turned up the brulee-ing of the banana, or fried it, but a very minor idea. TL;DR A few hit and misses on the specials board, but WOW THOSE DESSERTS.